I haven't had a toy train of any type since I was a very young kid and I don't even remember anything about it at this point. However, the memories of being held hypnotized by the high-end train sets click-clacking through elaborately detailed miniature towns and mountainscapes at department stores during the holidays, or even some random shops year round, have never really left me and I've always retained the idea of revisiting the hobby on my to-do list, even if a dead last item much of the time. So, seemingly out of nowhere, I recently got the bug to get a train set to have on hand this Christmas. I figured a train that would fit the part for the holiday season would be a good start, but it quickly became clear I didn't want just a toy, full of plastic gaudy greens and reds and necessitating a pallet of D cell batteries. No, I decided I wanted something of decent quality that would be a good platform to expand upon beyond Christmas. Right now I'm in full-on research mode, weighing the pros and cons between the various scales and/or gauges available. So far the O gauge seems to be most ideal for what I'm looking for. G is too big, N a bit too small. HO seems cool and practical space-wise, but I'm liking how O affords more detail and features. I haven't even seen The Polar Express movie — yet — but the Lionel Polar Express O gauge set seems like it might be a good starter set. I don't know why, but I've always really liked the passenger trains, especially the streamliner types from the '30s through '50s. The Polar Express train, of course, has a more traditional-looking Berkshire type steam engine, but it looks cool, too (although I see the Lionel website does have a streamliner version!). Ultimately, I don't know how sophisticated I want to get or how much I want to invest — this could be a quick phase — but any thoughts, photos, links, and suggestions are welcome. I am not in too much of a rush here, particularly as I can see how easily expensive of a hobby this can be, but I am kinda looking forward to the calming effect of a nice little train set chuffing around a little track, even if I have to be my own Santa. "You meant to blow them up?" 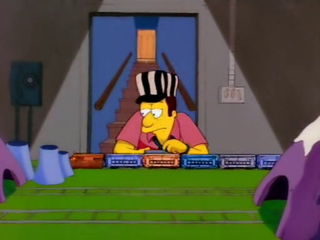 "Of course, why else would a grown man play with trains?" ETA: I'm going with the Lionel Polar Express set.